The PoolMoss® system consists of a flow-through contact chamber unit that attaches to your existing pool equipment. The contact chamber holds the Sphagnum moss that conditions the pool water as it flows through the system. 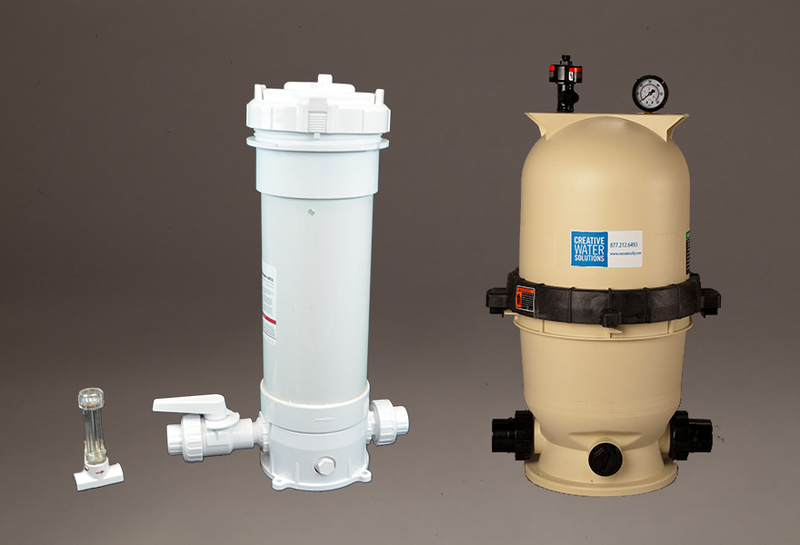 Contact chambers are designed to tap into new or existing above ground or in ground pools. PoolMoss® packs are used in the contact chamber in dosages related to the volume of water in the pool. The PoolStart™ contact chamber holds PoolMoss® packs for treating and conditioning your pool’s water. Contact chambers are available in two sizes: PoolStart™ for pools up to 40,000 gallons and PoolStart™ XL for pools over 80,000 gallons. (Use two PoolStart™ contact chambers for pools 40-80,000 gallons). Includes everything needed to install PoolStart™ XL on your in ground pool.